My 3 kids are picky eaters and even snacks they are very choosy. They get bored easily and it’s hard to get them to eat fruits and vegetables which are very important nutrition that they need for their growth. 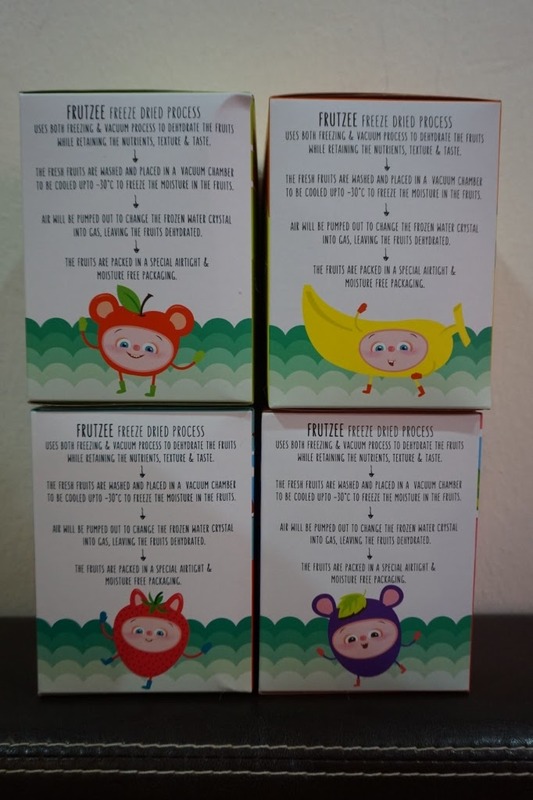 I found a new healthy fruit snack from Frutzee by Nutrio Malaysia offering 4 different flavours and this delicious snacks makes a good and fun snack time for my kids. Frutzee by Nutrio is founded by parents who understand the challenges faced in providing for a family. Derek and Eddie have been in the big food business for more than 10 years, and have had to balance family time with work commitments throughout. They believe that a healthy lifestyle is not just about calorie counts, carbohydrates and workouts, but a well-balanced and wholesome approach to life that values time spent together. Derek and Eddie also realized that great tasting snacks were one thing that united almost all families. 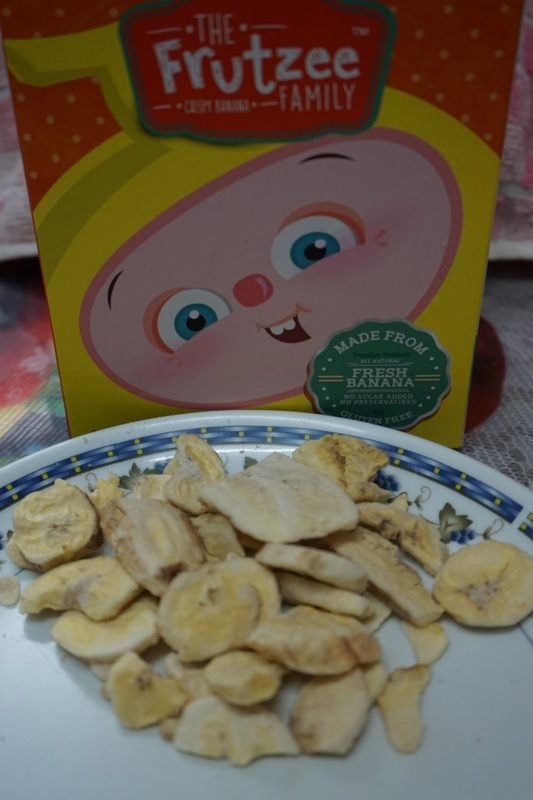 Therefore, they decided to take it upon themselves to make nutritious yet totally delicious snacks that would not only bring families together but help them live healthier too. Using cutting-edge technology, Frutzee retain all the natural goodness of the fresh ingredients, without the unnecessary preservatives, and colorings. 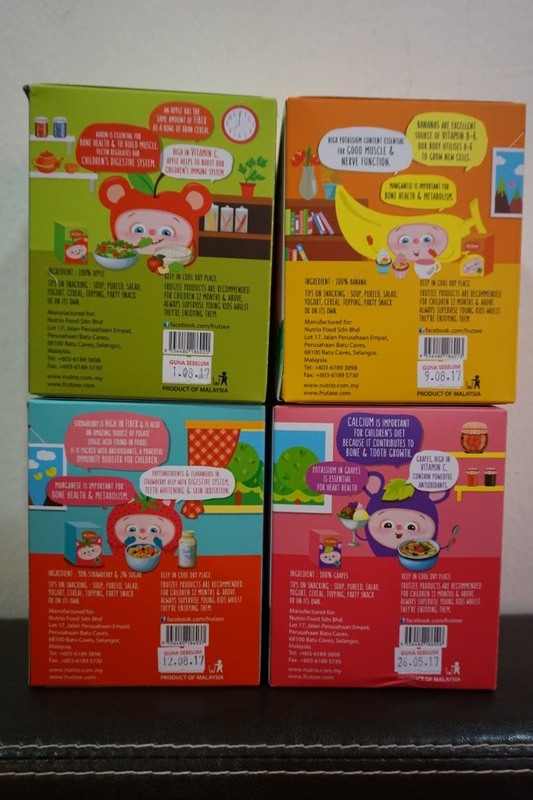 This is a new concept of healthy, tasty fruit snacks without preservatives and safe to consume for the children. 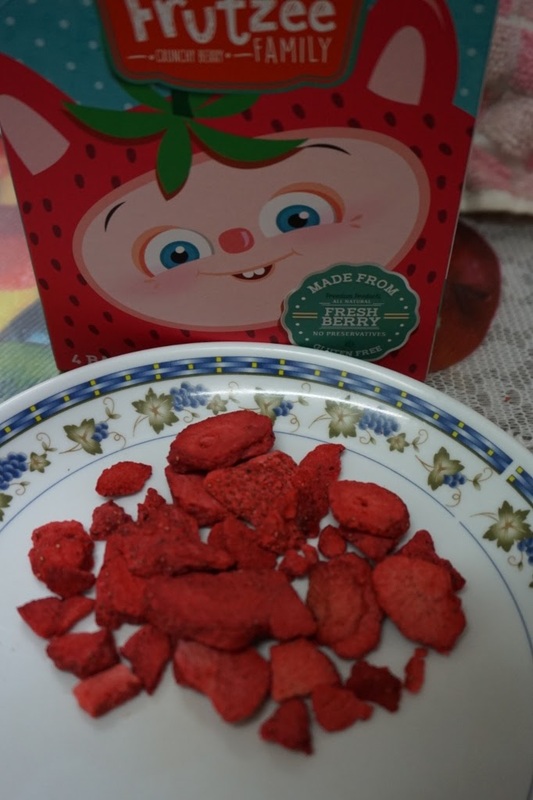 Frutzee using 100% real fruits to make the healthy snacks and only added 2% sugar for the strawberry flavour to balance up the taste. 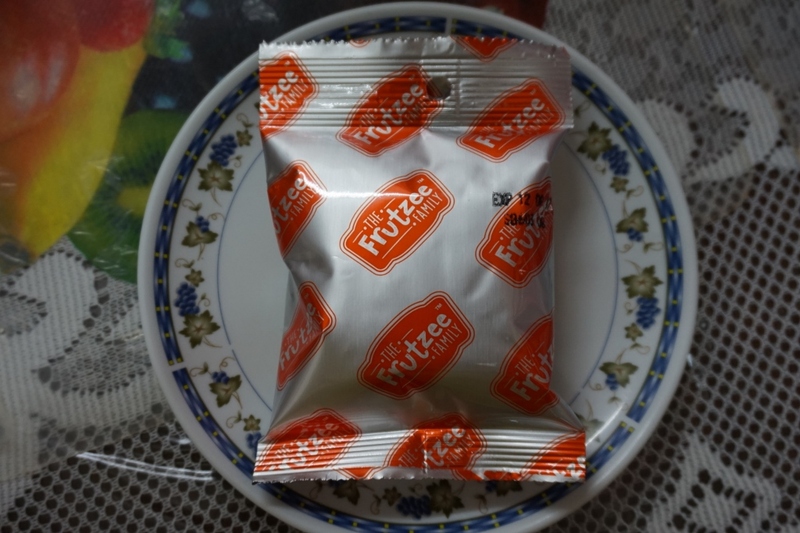 Frutzee uses both freezing & vacuum process to dehydrate the fruits while retaining the nutrients, texture & taste. Comes in four flavours – Grapes, banana, strawberry and apple. 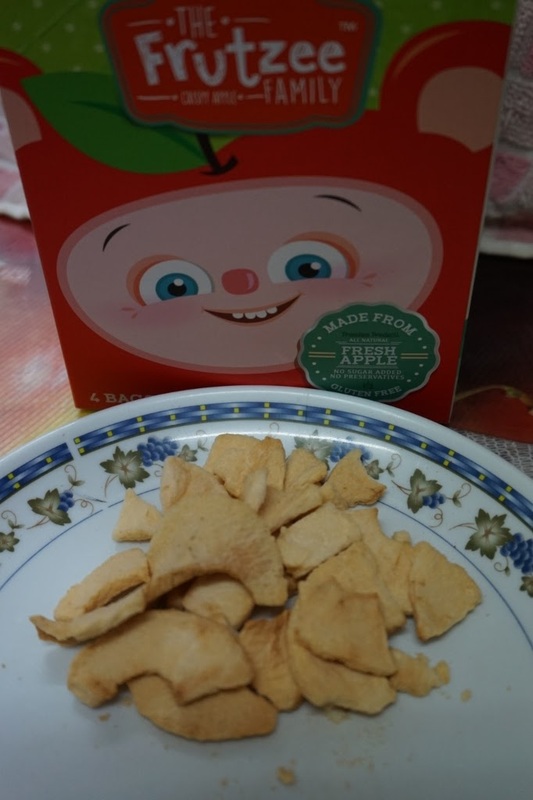 Crispy apple- An apple has the same amount of fiber as a bowl of bran cereal. The flesh of an apple contains Boron, as essential mineral for bone health and muscle growth. Pectin regulates our children’s digestive system. High in vitamin C, apples help boost our children’s immune system. 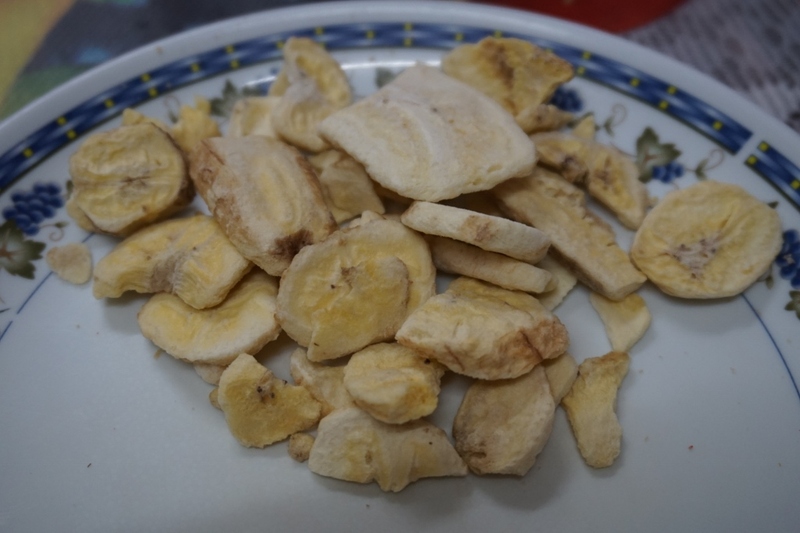 Bananas are excellent source of Vitamin B-6, which helps our body grow new cells. High potassium content is essential for good muscle and nerve function. Manganese is important for bone health and metabolism. 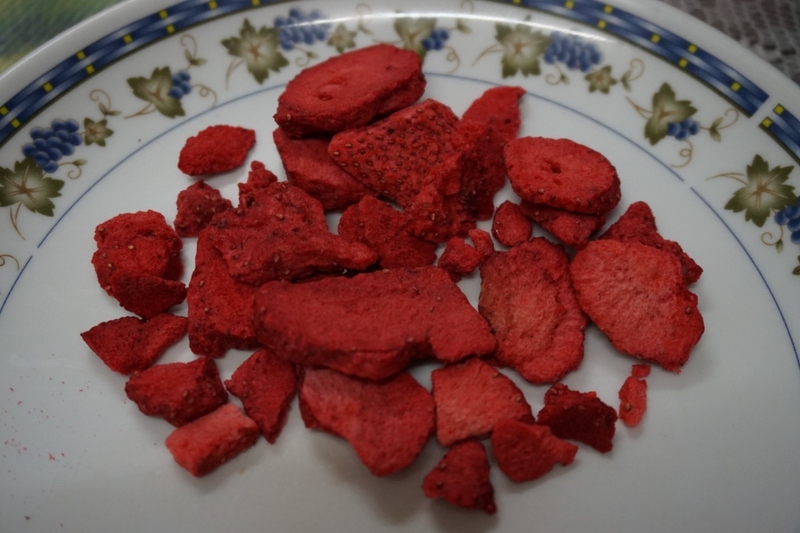 Strawberry is high in fibre and is also an amazing source of folate. It is packed with antioxidants, a powerful immunity booster for children. 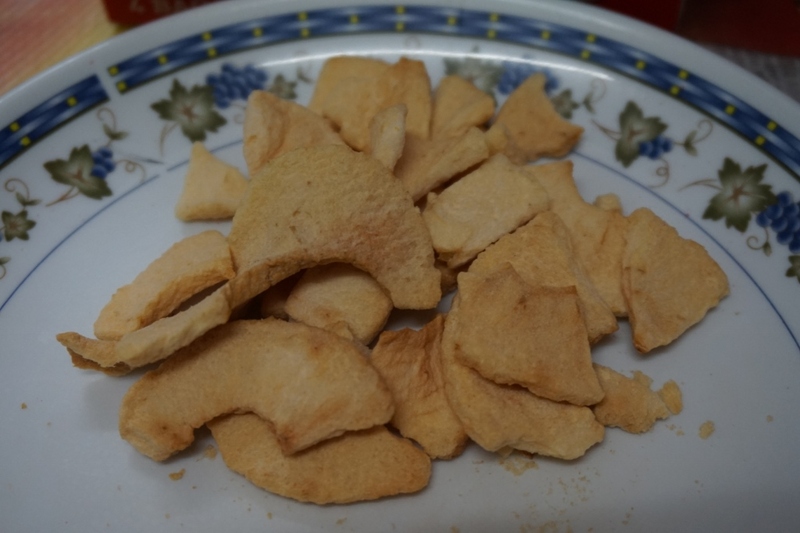 Manganese is important for bone health and metabolism. Phytonutrients and flavonoids in strawberries help with the digestive system, teeth whitening and skin irritation. Calcium is important for children’s diet as it contributes to bone and tooth growth. Potassium in grapes is essential for heart health. Grapes are high in vitamin C, containing powerful antioxidants. 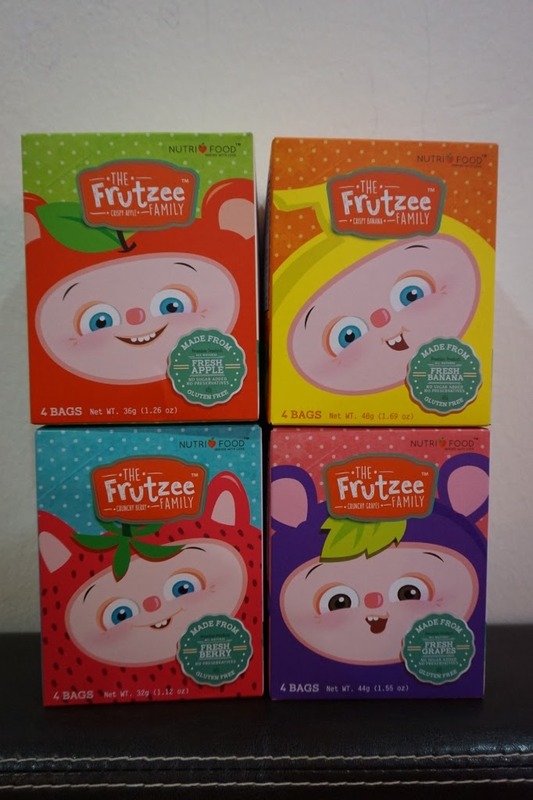 Frutzee comes in separate packaging for kids and adults, making snacking so convenient for the whole family. 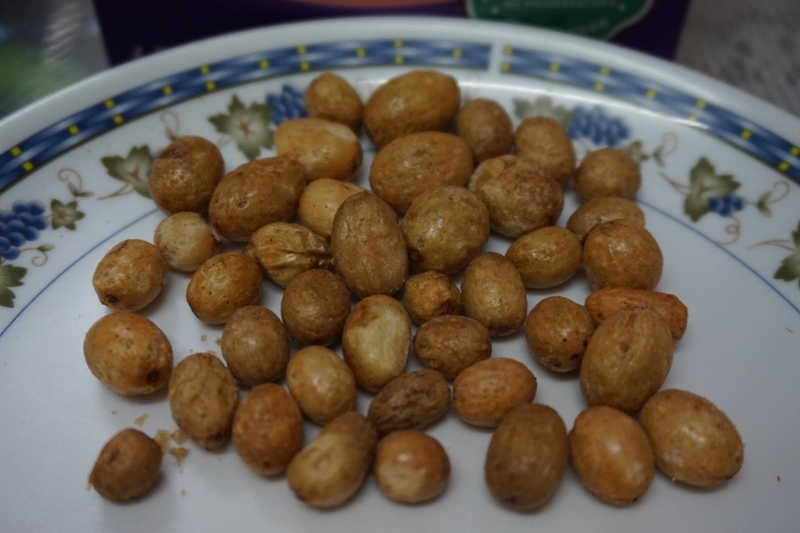 Tips on snacking: Soup, Pureed, Salad, Yogurt, Cereal, Topping, Party Snack or on its own. Each pack comes with 4 small packet of snacks inside. Snack together with your little ones. I love the packaging and easy for me to bring to travel or for a short weekend trip. My girls favourites are Berry and apple, while my boy enjoy the banana flavour. 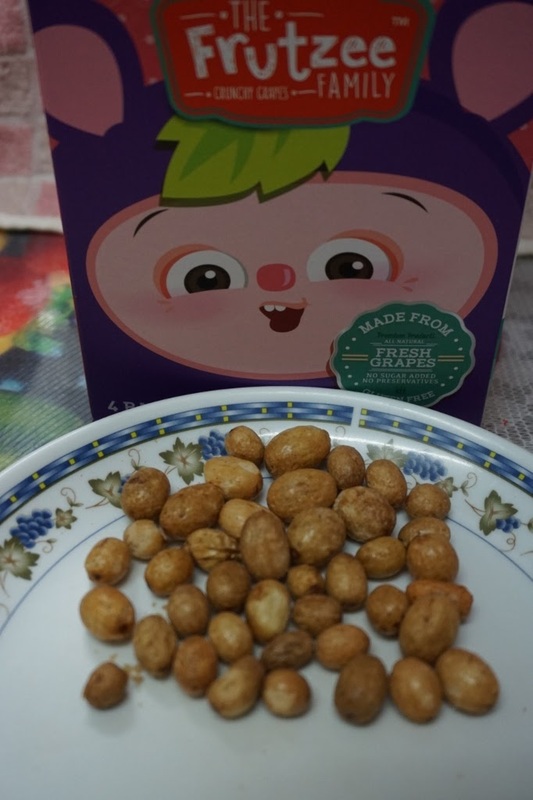 Fun snack time with good nutrition for my kids. You can make online purchase from Motherhood and Frutzee. You can also purchase Frutzee at the following store locations http://frutzee.my/wordpress/stores. 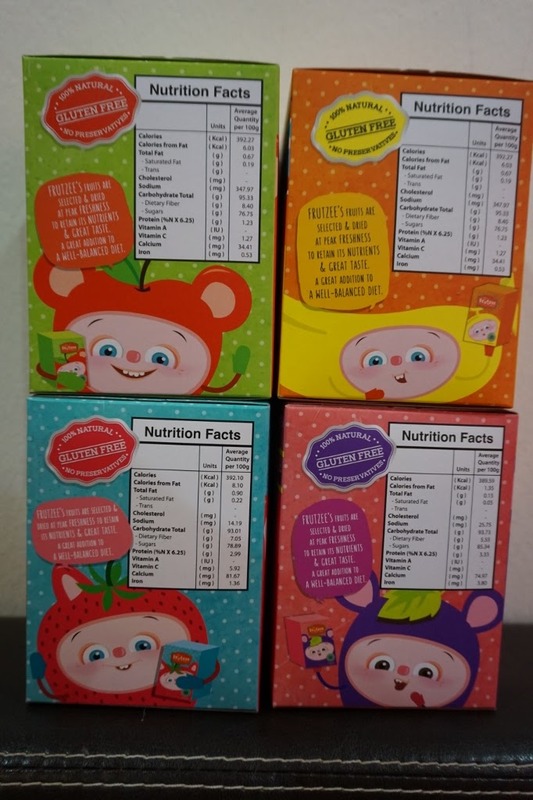 For more information about Frutzee, please visit their Facebook https://www.facebook.com/NutrioMalaysia/. Do visit Frutzee at EG Baby Expo @ KL Covnvention Center until 21 August 2016, Sunday only. Grab their great promotions going at the Frutzee Booth No. 3037 & 3038, Hall 4 during Premium Baby Expo.